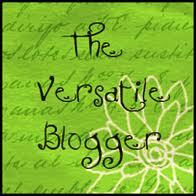 Thanks so much to Vulcan Butterfly for giving me the versatile blogger award! I'm really pleased that people seem to like what I've been posting on here, especially since I just do it for fun and didn't really expect that so many people would start following me! Thanks again! Since I'm new to blogging I'm not really sure about the 'rules' for this sort of thing but it seems to me that you put 7 facts about yourself and nominate 15 other bloggers for the award. Well here goes! 1. I have a university degree in English Literature. I love reading and studying books, mostly classics. I tend to stay away from modern literature, although my favourite book is The Solitaire Mystery by Jostein Gaarder. 2. I'm a huge music fan, and have almost 9000 songs on my itunes/ipod. I love pretty much everything from early blues to pop. 3. My favourite band is The White Stripes, I saw them live 3 times, and I'm still upset that they've split up! 4. I'm also a big Christina Aguilera fan. 5. I love studio Ghibli films, particularly Laputa. 6. I work a crappy job in a supermarket. 7. Last year I went on the best holiday of my life, a road trip around south western USA. And now 15 bloggers who I think are awesome! And an honourable mention for my Mum's blog! My World of Plastic. 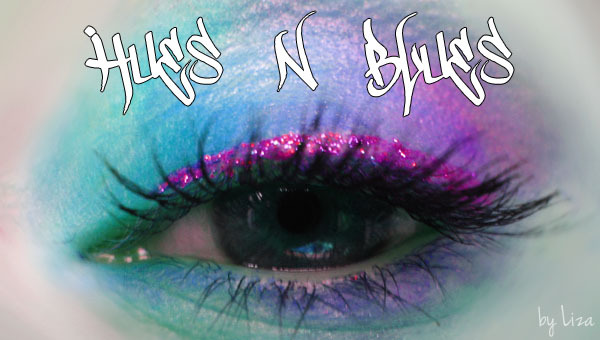 And since I didn't think it deserved its own post, here's a quick EOTD. I've had a stye which went and came back, so haven't been able to so much makeup.